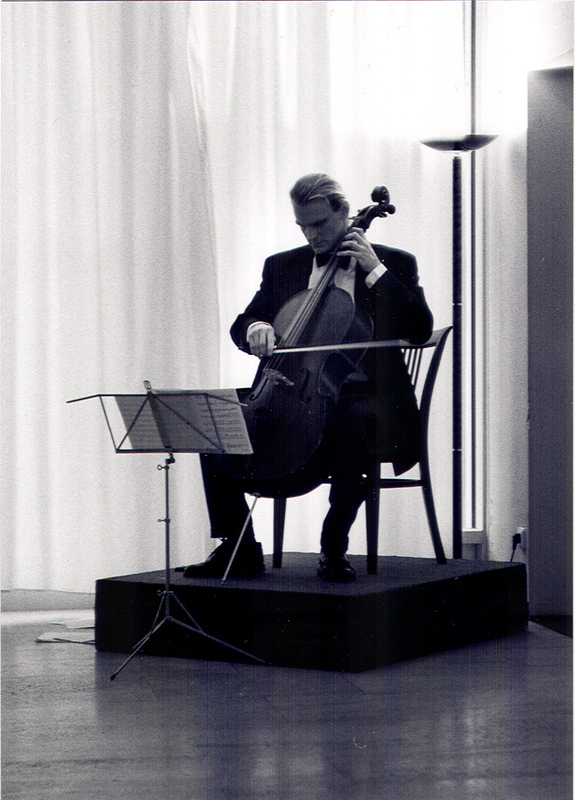 As a part of the Czech Republic anniversary you are invited to another "Prague - Brno: 6 Contemporary Composers for Cello solo in the interpretation of František Brikcius" concert of Czech cellist František Brikcius. Concert will be on Tuesday 27th October 2009, 7pm, at the Czech Centre Sofia - Purple Salon (Rakovski 100, Sofia, Bulgaria). František Brikcius will be playing, in Bulgarian premiere, works of Czech composers from Prague and Brno. 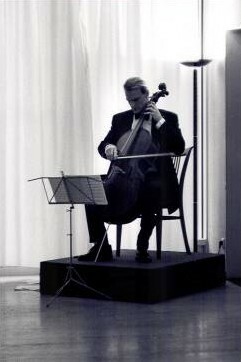 Sonata (1987) by Luboš Fišer and Stopy (2005, Festival Violoncello 2005 in Brussels) by Czech composer and organist Irena Kosíková will be featured. On the concert you will hear music by Jiří Matys, Petr Hejný, Jan Jirásek, Luboš Fišer, Miloš Štědroň and Irena Kosíková. Project was held under auspices of Václav Havel. In the cooperation with Czech Centre Sofia. Concerts "Prague - Brno: 6 Contemporary Composers for Cello solo in the interpretation of František Brikcius" and "Tartini's L'Arte dell'Arco in the Interpretation of František Brikcius" have been presented as part of the "Brikcius Cello Tour 2007" in Austria, Belgium, Czech Republic, France, Italy, Russia and United Kingdom. For more information please visit http://www.Brikcius.com and http://www.CzechCentres.cz/Sofia . 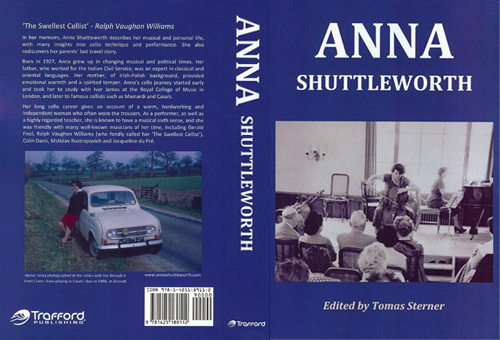 What is the name of fifty forth chapter of cellist Anna Shuttleworth's memoirs edited by Tomas Sterner? Contest is over, drawn winners are: M. W. from St. Petersburg, Y. B. from Sofia and I. A. from Varna. Conceived in 2001, Expats.cz is the Czech Republic's premier expatriate site; serving the international, expatriate & business community. Expats.cz is a community portal for the Prague business and international community (English speaking). You can find literally everything you need to live in Prague, from doctors, lawyers, restaurants and real estate agencies to schools, language training and places to meet other members of the expatriate community. We invite businesses to join Expats.cz by adding their establishment to our popular business directory. Promotional opportunities are also available for our advertisers. Our community is made up of business professionals, families, individuals, students and returning Czech expatriates alike. We warmly welcome everyone to participate, to the overall good of the network. Expats.cz offers some of the following services: Prague Business Directory, Jobs Server, Real Estate Portal, Event Listings, Classifieds, Member Reviews, Weekly Articles, Exchange Rates, Weather & Name days, Cinema Listings, Restaurant Listings, Discussion Forums, Expats.cz Survival Guide Publication . Expats.cz is media partner of projects "In the memory of Karel Kosík I. & II. ", "Weinberger Tour", "In the memory of Růžena Grebeníčková I. & II. ", "Duo Brikcius - 2 Cellos Tour", "Bridgebuilder - Toni el Suizo", "MAKANNA" & "eSACHERe". 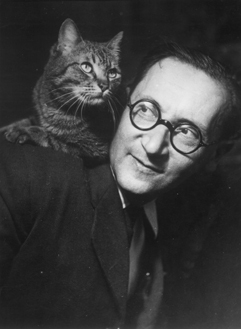 Novelist, literary critic, reporter, translator and publicist Jiří Weil was born on 6th August 1900 in Praskolesy u Hořovic. 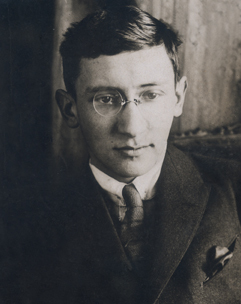 After his graduation in 1919, he studied Slavonic Philology and Comparative Literature at the FF UK. He completed his studies with a PhD in 1928. From 1922 he made several visits to the USSR where between 1933 and 1935 he worked as a translator and publicist; later, after he was expelled from the KSČ, he spent six months in Central Asia (Kyrgyzstan, Kazakhstan and elsewhere). During World War Two he refused Jewish transports, he spent time in hiding, he was arrested, for five months he lived unregistered in a hospital, he staged a false suicide and until the end of the war he lived in illegality. 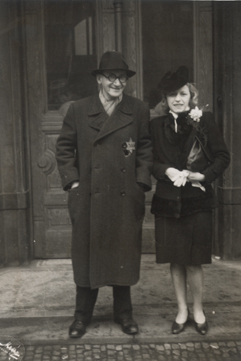 From 1946-1949 he was redactor at the ELK publishing house and from 1950-1958 a science employee of the Jewish Museum in Prague. In his work you can find his experience of the time he spent in the USSR and of his visits to Germany, Switzerland, France and Poland. He was a member of Devětsil, Blok, SČS (expelled in 1951, again readmitted in 1956). He published in Časopis českého muzea, in Kmen, Avantgarda, Literární noviny (30th and 2nd half of 40th), LN, Nový život, Host do domu, Věstník Židovské obce náboženské … . He is mentioned in the Jewish Yearbooks. He translated works by Russian writers and co-edited an edition of "Children's paintings on the Death stop. Terezín 1942-1944" (1959). 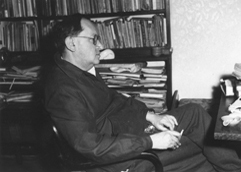 He wrote many short stories and novels, including Moskva-hranice (1937, 2nd edition 1969 was forbidden), Dřevěná lžíce (1938), Makanna, otec divů (1946), Barvy (1946), Život s hvězdou (1949), Harfeník (1958), Žalozpěv za 77 297 obětí (1958) and Na střeše je Mendelssohn (1960). He died on 13th December 1959 in Prague. 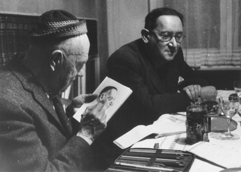 In 2010 we commemorate, with project MAKANNA, the 110th anniversary of his birth. For more information about Jiří Weil go to http://www.Brikcius.com and http://En.Wikipedia.org/Wiki/Jiří_Weil . Become maecenas, support new project "MAKANNA"!